Photo: Noble Ridge owners Leslie and Jim D'Andrea with "The One." The member wineries of the Okanagan Falls Winery Association, which was formed about a year ago, had its coming out party in Vancouver this week. The objective is to raise the profile of the wineries and the area in which they operate. They want wine tourists to spend time what they call “The Heart of Wine Country” rather than just stopping for an ice cream at Tickleberry’s before heading north to Naramata or south to Oliver/Osoyoos. It should not be a hard sell. With the exception of a good hotel, all the other pieces are in place to attract wine tourists to Okanagan Falls. There are 12 wineries in OFWA, including the two in Kaleden and two on East Side Road, the lightly travelled back road between Okanagan Falls and Penticton. That certainly is a “critical mass.” In fact, only the most energetic of wine tourists would be able to visit them all in a single day. At the Vancouver tasting, which lasted three hours, I could only get to 10 winery tables before the event closed. The wines are well-made. A number of these producers have won awards of excellence in the Lieutenant Governor’s competition. Wild Goose Vineyards alone has won seven of those awards. The only reason why a couple of these wineries do not yet have a big inventory of awards is because they are new. Blue Mountain Vineyard & Cellars opened its tasting room to the public last year after 20 years of by-appointment only visits. This is very important to the region’s success. With its reputation for quality, Blue Mountain is one of the anchor tenants in the OFWA cluster. Painted Rock Estate Winery, another of the anchor tenants, will open a gleaming new wine shop this summer. It is a beautifully designed building which such breath-taking vineyard views that it should be an instant wedding destination. In a few years, Painted Rock also will add a country inn and Okanagan Falls will have its first good hotel in a century. Liquidity Wines, one the newest wineries, is opening an elegant wine shop and a bistro this summer. See Ya Later Ranch already has bistro service at its winery. Wild Goose opened a large new wineshop last summer, with a licensed picnic deck. All of these have fabulous views from their patios. Regional winery associations like OFWA or the Naramata Bench Association might one day evolve into sub-appellations. Industry chatter suggests that the Oliver-Osoyoos Wineries Association is well down the road in creating a Golden Mile sub-appellation. 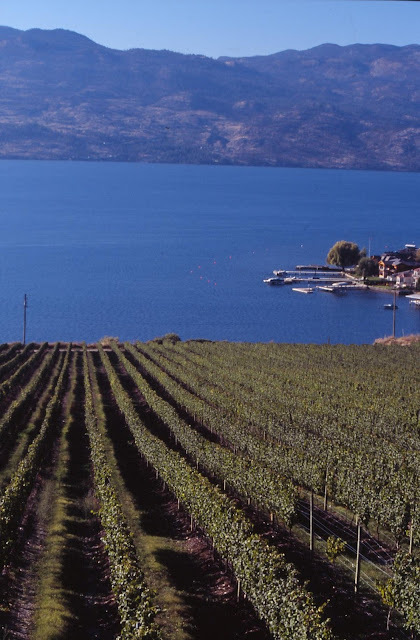 You could make an argument for an Okanagan Falls sub-appellation that would encompass most of the wineries. This is a compact vineyard area with complex soils, but not wildly different. Of course, the argument loses a bit of force because of the wide number of varietals grown here – Pinot Noir, Chardonnay, Pinot Gris, Merlot, Vidal, Tempranillo, and so on. This is not Burgundy and won’t have focussed on key varietals for a century or two, if ever. You could argue for Pinot Noir as the area’s flagship variety, except that everybody’s Pinot Noir is different. But frankly, that’s why you go wine touring. It would be boring if the wines were homogeneous. Sub-appellations can be turned into good marketing tools. They might also be used as a way to raise quality standards now that VQA has been hollowed out as a standard-setting tool. (The other day, I have 91 points to a terrific white wine that had failed VQA.) No wine would be allowed to carry the sub-appellation unless it had been passed by a competent tasting panel. Here are notes on some of the wines offered by these wineries. Apologies to See Ya Later Ranch and Stag’s Hollow Winery, whose tables I missed. I may also have missed one of two other of the sixty plus wines that were being poured. Aside from the solid wines, the appeal of Blasted Church is local history that owners Chris and Evelyn Campbell tell through the colourful and sometimes quirky labels. Blasted Church has awards for its labels as well as for the wines. Hatfield’s Fuse 2011 ($17.99 for a bottle or $377 for a keg). A nine-grape blend, this is a Blasted Church’s top selling wine. With a production of 11,300 cases in 2011, it is widely available, including liquor and wine stores. The winery now also offers it in 20-litre stainless steel kegs for restaurants equipped to serve it on tap. This is a crisp and refreshing with, with aromas and flavours of citrus, apples and pears. 90. Pinot Gris 2011 ($19.99). This wine offers a fruit bowl of aromas and flavours – pear, apple, citrus and spice on the finish. The wine has good weight and a lingering finish. 90. Big Bang Theory 2011 ($18.99 for a bottle, $403 for a keg). This is a seven variety red blend built around Pinot Noir, Merlot and Lemberger. It has fresh, appealing aromas and flavours of cherry and is a medium-bodied quaffer. It is perfect for wine by the glass, which is why it is available by the keg. 88. Brut Sparkling Wine NV ($23.90). This is excellent value for a bottle-fermented sparkling wine. The wine has toasty and citrus notes with a crisp, dry finish. 90. Sauvignon Blanc 2011 ($18.90). This is a Loire-style Sauvignon Blanc, not a New Zealand style. It has herbal and grape fruit aromas and flavours of grapefruit, grapefruit rind and minerals, with a crisp finish. 88. Chardonnay 2011 ($21.90). This wine has an appealing elegance. There is oak here but not much; there is butteriness but not much; and the citrus flavours are delicate. 90. Pinot Noir 2011 ($24.90). You know this came from the same cellar as the Chardonnay. This is also elegant and understated, with notes of strawberry, cherry, spice and even a hint of mocha. The texture is classically silken. 90. This winery opened in 2010 and was the first winery in Kaleden. That’s a bit surprising, given all the vineyards around this pretty village beside the lake. Both the winery and the wines have names that are memorably eccentric because the owners, Sue and Gerry Thygessen, have branded the business on the theme of The Roaring Twenties. Popular dance steps of that era feature on the labels. The Bee’s Knees Pinot Blanc 2011 ($18.95). Crisp and clean, this wine is the classic “slice of fresh apple” Pinot Blanc. 90. Speakeasy Merlot Rosé 2012 ($N/A). As in the previous two vintages, the winery continues to make a delicious rosé, with strawberry and raspberry aromas and flavours that jump from the glass. The finish is crisply fresh. 90. The Cakewalk Merlot 2010 ($25.95). This wine shows the bright vitality of the year, with aromas and flavours of blueberry and black currant. 89. All That Jazz 2010 ($23.95). This is 55% Merlot, 45% Cabernet Franc. On the palate, its shows the delicious brambly fruit flavours of the Cab Franc. 90. Chardonnay 2011 ($22.90). The wine has aromas and flavours of citrus, with a subtle hint of oak and butter and with lively acidity, giving the wine a crisp Chablis-style finish. 90. Pinot Gris 2012 ($19.90). It seems that wines from the 2012 vintage express the fruity aromas and flavours well. This wine tastes of pears and citrus and has a crisp, spicy finish. 90. Rose 2012 ($18.90). This light and refreshing rosé has strawberry and cherry aromas and flavours. 88. Pinot Noir 2010 ($24.90). This wine is light and lean, with notes of cherry and raspberry. I would enjoy this, slightly chilled, on a hot summer day, perhaps on Liquidity’s patio. 88. It was late in the afternoon and I had to skip this winery’s sophisticated Chardonnay wines. Too bad, because they always are among the Okanagan’s top Chardonnays. Pinot Noir 2011 ($25.00). This is very good for a budget Pinot Noir, with classic strawberry aromas and flavours, a medium body and a silky texture. 89. McLean Creek Pinot Noir 2011 ($40). This is the wine to cellar while drinking the previous wine. The flavours are concentrated, with hints of cherry, strawberry and toast (from the barrels). The texture is still developing. 90. Reimer Vineyard Pinot Noir 2011 ($40). The cherry and strawberry flavours are more vivacious that the sometimes brooding McLean Creek version but the wine is equally satisfying. 90. The One 2009 Sparkling Wine ($39.90). Crisp and elegant, this Champagne-style bubbly is the winery’s first and it is nearly sold out. The 2010 vintage, which will be released in September, spent twice as long resting on the lees. Owners Jim and Leslie D’Andrea say it will be more creamy that the 2009. Chardonnay 2010 ($23.90). Here is a wine for those who hanker for the good old days when no one was afraid to use a little oak with this varietal. The buttery notes and the barrel treatment give this wine rich tangerine and citrus flavours. 89. Pinot Noir 2009 ($24.90). Dark in colour, this is a big ripe and earthy Pinot Noir, with aromas and flavours of plum, leather and tobacco and with a touch of spice on the finish. This is not a wimpy Pinot. 90-91. Meritage Reserve 2008 ($29.90). Even with five years of age, this wine is just hitting its stride and won’t plateau for a couple more years. The texture is concentrated and the flavours are bold - black currant, plum and vanilla. 90. The scores for these wines indicate why I see this winery, with its Holt Renfrew pricing, as one of the anchor tenants bring wine tourists and lustre to Okanagan Falls wineries. Merlot 2009 ($40). This is an elegant wine with ripe tannins that seem almost sculptured. There are flavours of plum, blueberry, black currant, with excellent concentration. 91. Syrah 2010 ($40). The viticulture here must be remarkable because it was no easy to get Syrah ripe in 2010. This wine is ripe, with flavours of plum, leather and earth and with hints of pepper on the nose and in the finish. 92. Red Icon 2009 ($55). This is the winery’s flagship Bordeaux blend. It is a lovely wine, rich and generous, with flavours of plum, black currant, blackberry, vanilla and mocha. 93. This is perhaps the smallest of the Okanagan Falls wineries. The Dickinson family which owns it is intensely interested in motor racing. That explains the use of Synchromesh as a winery name. In fact, the winery’s spring release tasting on April 20 is 2 pm to 4.30 pm at the Ferrari Maserati showroom at 1860 Burrard Street in Vancouver. Thorny Vines Riesling 2012 ($18.90 for 296 cases produced). This excellent wine is from a three-year-old Naramata Bench vineyard planted with the legendary Clone 21B. The wine is crisp and tangy, with lime and lemon aromas and flavours and with dry finish. 89. Pinot Noir 2011 Palo Solara Vineyard ($24.90 for 135 cases). The fruit for this wine comes from an East Kelowna vineyard. The wine has a fine dark hue, with aromas and flavours of cherry and spice. The texture is firm but it will flesh out with some cellaring. 89-90. Tertre Rouge 2010 ($34.90). This is a blend of Merlot, Cabernet Franc and Cabernet Sauvignon. The wine has generous black and red berry flavours, backed with vanilla and chocolate. 90. This Kaleden winery has built is offerings on a hockey theme because the owners, Leonard and Myra Kwiatkowski, are classic hockey parents, with two sons who once played professional hockey. Slapshot Chardonnay 2011 ($18). This is a crisp, fruit-forward Chardonnay, with citrus aromas and flavours. 88. Point Shot Pinot Gris 2011 ($18). This is also fruit forward with a crisp finish; and with aromas and flavours of apple and pear and with a hint of spice on the finish. 88. Over The Top Merlot 2011 ($20). This is an easy-drinking red, with red currant and cherry flavours and with the slightest hint of greenness. 88. Grant Stanley is going into his 10th year as winemaker at Quails’ Gate Estate Winery and he has certainly put his fingerprints on the wines. Quails’ Gate was opened in 1989 by the Stewart family, a pioneering family in horticulture and, since the 1950s, in grape growing. In the decade before him, three Australian winemakers in succession made the wines at Quails’ Gate. The first was Jeff Martin, now the owner of La Frenz, his own fine Naramata winery. His successor was there only briefly, dying in mid-vintage. The third Australian was Ashley Hooper, a big one-time rugby player, who made several solid vintages before deciding to return to Australia. Grant represented a daring change in winemaking style. Born in Vancouver in 1967 to parents from New Zealand, Grant became passionate about wine while working in restaurants in Canada and in Britain. In 1991, he and his British-born horticulturist wife, Annabelle, moved to New Zealand and took wine industry jobs. Grant, after professional training, made six vintages with Ata Rangi, a leading Pinot Noir producer. He once told me that he spends 80% of his time thinking about Pinot Noir. However, the other wines he makes at Quails’ Gate never taste as if they had been overlooked (he has a good cellar team behind him). One of his secrets has been slimming down a portfolio that had ballooned to 26 wines when Grant arrived. By making larger volumes of fewer varietals, he brings better focus to the releases. The individual releases at Quail’s Gate often are each larger that the production of many smaller wineries. The most astonishing example is the Chasselas/Pinot Blanc/Pinot Gris blend. Where these were once separate varietals in the portfolio, Grant has been blending them into one terrific and affordable white. The current 2012 release is 14,900 cases. There are probably 100 wineries in B.C. that are smaller than that. As the notes below indicate, all of the estate wines are made in large enough volume that restaurants can keep them on their lists and individuals can stock up. There is a production cap, however, on the reserve wines, which are marketed as Stewart Family Reserve and are not made every year. There was no SFR Pinot Noir in 2010 because that vintage did not produce a reserve quality Pinot Noir, at least in the judgment of Quails’ Gate. As a rule of thumb, the reserves are about 10% of the volume of the regular varietals. Here are notes on the new releases. Quails’ Gate Chasselas Pinot Blanc Pinot Gris 2012 ($18.99 for 14,900 cases). One bottle of this always tastes like more; fortunately, there amazing volume produced. The blend is 45% Chasselas, 30% Pinot Blanc and 25% Pinot Gris. The winery has been making this blend for some years now, because these three white varieties marry well and because the volume means there is plenty to go round. Just slightly off-dry, the wine begins with apple and citrus aromas and delivers flavours of apples, pears and peaches. 90. Quails’ Gate Chenin Blanc 2012 ($18.99 for 5,100 cases). Here is another zesty white wine that tastes good at a mere six months but will taste even better in a year or two when the racy acidity has settled down and the fruit is more expressive. It begins with appealing aromas of apple, lime and grapefruit. On the palate, it is absolute bowl of fruit – limes, lemons, papaya. The finish is crisp and refreshing. There is eight percent Sauvignon Blanc in this blend – as if Chenin Blanc needs help to express fruit. 90. Quails’ Gate Gewürztraminer 2012 ($16.99 for 8,200 cases). I think the only reason this wine did not bowl me over is that the sample was recently bottled. It takes Gewürztraminer a while to get over bottle shock. My sample had muted aromas and flavours but I fully expect that the spice and the lychee will emerge by June. Then, because it is closed with a screw cap, the wine will remain full of fresh, fruity flavours for several years. 88+. Quails’ Gate Rosé 2012 ($14.99 for 5,000 cases). The winemaker’s style with this, made primarily with Gamay Noir, is to craft a wine that “smells sweet but drinks dry.” It is a tangy, refreshing wine with aromas ands flavours of rhubarb, strawberry and sour cherry. 90. Quails’ Gate Pinot Noir Estate 2011 ($24.99 for 7,000 cases). This is the Pinot Noir to drink now while waiting for the reserve to be ready. This wine has a fine dark hue. It begins with attractive aromas of cherry, raspberry and mocha, leading to bright cherry flavours, with mocha and toasty oak subtly on the finish. The texture is already showing the classic velvet of the variety. 90. Quails’ Gate Chardonnay 2011 Stewart Family Reserve ($35 for 1,131 six-bottle cases). The previous vintage, which may still be available, won a gold medal at this year’s Chardonnay-du-Monde competition in France. I expect this wine will also rack up numerous awards. It is an exceptionally elegant wine with butter, toast and tangerine on the nose and the palate. The toastiness comes from the wine being fermented in barrel, a practice that integrates the oak without submerging the fruit. 92. Quails’ Gate Pinot Noir 2011 Stewart Family Reserve ($45 for 2,027 six-bottle cases). Because the winery made no Stewart Family Reserve Pinot Noir in 2010 – a poor vintage – the market had begun to clamour for the 2011. It has now been released three months prematurely and against the winemaker’s better judgment. The first bottle I tasted in late March was pretty tight and smelled a bit funky, probably from the sulphur used when the wine was bottled in December. Recently, I was able to taste the wine a second time and it has begun to get over its funky mood. There are raspberry aromas and deep, rich flavours of spicy plum and cherry. The texture is still firm. Decant the wine if you must have it now; or do yourself a favour and cellar it for several years. 92. Wineries have begun to release the 2010 reds from the Okanagan. Consumers who have heard that the vintage was cool and challenging will be approaching the 2010s with some apprehension. However, the wineries that did a good job in the vineyards were able to make delicious wines. Jackson-Triggs is certainly among those producers with a strong viticulture team backing up an equally strong winemaking team. At Jackson-Triggs Okanagan, the red wine maker is Brooke Blair. Born in 1978 at Mount Gambier in Australia, she is the daughter of a vineyard manager. She studied at the University of Adelaide, starting out in commerce before switching to wine. 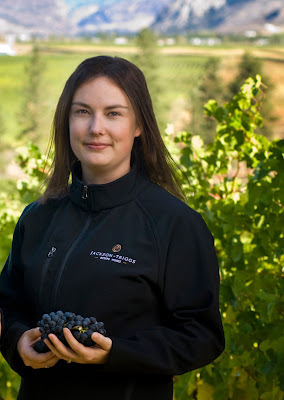 After graduation, she worked two and a half years as assistant winemaker at Hollick Wines, a family-owned winery in Coonawarra, did a vintage in Spain, and was thinking of Italy when she landed the job at Jackson-Triggs in 2004. The 2010 vintage almost certainly was the toughest one she has experienced in the Okanagan to date. One of these two wines is made entirely with grapes from the 80-acre SunRock Vineyard near Osoyoos. It takes its name from a huge rock face at the north end of the vineyard. Here are notes on the two reds. Jackson-Triggs SunRock Meritage 2010 ($34.99 for 250 cases). This is 47% Merlot, 36% Cabernet Franc and 17% Cabernet Sauvignon. The wine begins with appealing aromas of blackberry, blueberry, raspberry and mocha. On the palate, there are flavours of plum and black currant. The tannins are ripe but still firm enough to suggest this wine will show further improvement with another year or two of aging. 90. The limited production is typical for the top tier single vineyard wine at Jackson-Triggs. The Grand Reserve tier is typically between 500 to 1,000 cases, depending on the quality of the wines and on the market for them. Jackson-Triggs Grand Reserve Cabernet Shiraz Viognier 2010 ($29.99 for 500 cases). This is 49% Cabernet Sauvignon, 48% Shiraz and 3% Viognier. The winemaker chose to ferment the Shiraz and the Viognier together at, blending the Cabernet Sauvignon later. This wine has a touch of Cabernet Sauvignon minty aromas on the nose, leading to flavours of black currant, tobacco and chocolate. The ripe tannins and the 18 months of barrel aging have given the wine a generous texture. However, it is firm enough to develop further with a few years of cellaring. 90. Producers and consumers of Riesling from the Okanagan owe a debt to a fine Riesling producer in Germany’s Mosel region, Weingut St. Urbans-Hof. 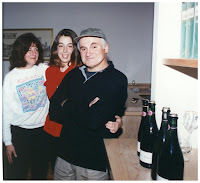 I was reminded of the connection when I met with Nik Weis Jr., the proprietor of St. Urbans-Hof during the Vancouver International Wine Festival; and then visited two Kelowna wineries with Riesling plantings that originated with Nik’s grandfather. The grandfather was Nikolaus Weis, a one-time shoemaker who decided in 1947 to establish a winery and a vine nursery in the Mosel village of Leiwen. Among other accomplishments, he identified a particularly good strain of Riesling. It came to be known as the Weis clone or Clone 21-B. Subsequently, Nik Jr.’s father, Hermann, sold the clone to other German vineyards and to vineyards around the world, including vineyards in Canada. In 1979, Hermann invested in the development of Vineland Estates Winery in Ontario, primarily as a demonstration project for clone 21-B. By the time he sold his interest in 1992, numerous vineyards in Ontario and in British Columbia were growing 21-B. In the Kelowna area, there are at least two blocks of 35-year-old vines of the Weis clone Riesling – one at Tantalus Vineyards and the other just a few kilometres away, at St. Hubertus Estate Winery. These are two of the oldest vineyards in the Kelowna area. They were planted initially about 1927 by J.W. Hughes who subsequently sold them to his foremen. In the 1970s, both vineyards were selling grapes to a Victoria winery, called Jordan & Ste. Michelle which employed several German winemakers. They recommended that these vineyards should plant Riesling. Since Jordan had a winery in Ontario as well at the time, it is likely they were dealing with Hermann Weis there as well. In the 1970s, the most widely planted white in the Okanagan was a labrusca hybrid called Okanagan Riesling. The wines were mediocre but they also crowded out genuine Riesling until 1988, when most hybrids were pulled out. But genuine Riesling had fallen out of fashion. When Nik Weis Jr. graduated from Geisenheim in 1997 and joined his family in selling wine, it was a tough slog. “There was no German wine section in liquor stores,” he says, remembering sales trips to Canada. By coincidence, in 1997, Sue Dulik, opened a winery on the property now owned by Tantalus. Her grandfather, Martin, was one of those foremen who bought a J.W. Hughes vineyard. Her father, Den, was running it when clone 21-B was planted. Sue chose to call her winery Pinot Reach Cellars because she wanted to concentrate on the Pinot varieties. That certainly tells you that the Riesling market was not perceived very robust. However, her winemaker was Roger Wong (now the owner of Intrique Wines) who is a Riesling partisan. Pinot Reach made several vintages of Old Vines Riesling. When British wine writer Jancis Robinson first tasted it, she raved about it. Sue regretted the choice of winery name, which became academic when the Dulik family sold the vineyard and the winery in 1994. Fast forward to today’s environment for Riesling. When Nik Weis Jr. goes into wine stores now, he finds shelves stocked with German Rieslings. There are 72 listed in British Columbia alone. Weingut St. Urbans-Hof produces 25,000 cases of estate-grown Riesling and a similar volume from purchased grapes. Urban Riesling 2011 ($18.49) is a crisp and refreshing Riesling in the British Columbia market. Up-market estate Rieslings include Ockfener Bockstein Riesling Kabinett 2011 ($30), a lovely expression of the variety, with notes of lime, apple and peach. Vancouver investment dealer Eric Savics bought the Dulik property and Pinot Reach, renamed the winery Tantalus. Once he discovered he had great terroir for cool climate varieties, he replanted almost the entire vineyard but the Old Vines block. He added several clones of Riesling as well as Pinot Noir and Chardonnay. And Jancis Robinson has raved about the Tantalus Old Vines Riesling as well. If she is lucky, she will also get to taste a sparkling wine from these grapes. In the 2012 vintage, David Patterson, now the winemaker at Tantalus, split the Old Vines juice into two lots. One is being finished as a dry table wine and the other is being turned into a dry sparkling wine. To be sold as Brut Natural, with no dosage added, it promises to be another exciting wine. Tantalus Riesling 2012 ($22.90) is the winery’s current release, made with grapes from its younger vines. Again, it shows lime and minerals notes, with the refreshing clone 21-B acidity balanced with 15.5 grams of residual sugar. 90. Tantalus Old Vines Riesling 2010 ($29.90) is about to be released. It shows why vine age makes such a difference. The aromas of honey, peach and petrol explode from the glass. Because this dry wine aged for a time on the lees, it has a rich texture, along with flavours of lime, peach, apple and minerals. 95. The St. Hubertus winery just down the road also grows young and old vine Rieslings on soils and slopes comparable to Tantalus. Traditionally, this winery has made just one Riesling, crushing old and young fruit together. In my view, it has been leaving money on the table, which is a bit puzzling, since one of the brothers who owns the winery, Leo Gebert, trained as a banker in his native Switzerland. There may be some change ahead at St. Hubertus, which hired a new winemaker last year, a lanky Australian named Dominic McCosker. Born in 1976, he arrived in the Okanagan in 2007. He spent a year at Tantalus and four at CedarCreek Estate Winery. Along the way, he has fleshed out his Australian science degree with Okanagan College training in winemaking and with two vintages at top Australian wineries. The 2012 wines that St. Hubertus is beginning to release show that Dominic is making a positive impact, bringing a little more complexity to the St. Hubertus wines, which always have been easy to drink. St. Hubertus Gewürztraminer 2012 (not released yet) is an example. This vintage has the depth of flavour and the oily texture of a good Alsace Gewürztraminer. That was as Dominic intended: a serious, textural wine. It was barely through bottle shock when I tasted it but I gave it 90. St. Hubertus Dry Riesling 2012 ($15.75) is medium-bodied, with citrus aromas and flavours and tangy notes of lime on the finish. It also has been finished a little drier than in the past. Both Leo and Dominic like their wines dry. 88. The Wine Islands Vintners Association got this year’s Easter season off to a good start with a Good Friday wine tasting in Victoria. The scheduling seemed – dare I say it? – a bit unorthodox. (For the record, the Orthodox Easter is May 5 this year.) But those who attended the event, held in the venerable Fairmont Empress, clearly enjoyed the tasting, even on such a solemn day in the Christian calendar. Since Jesus turned water into wine as his first miracle, he would hardly have objected. Indeed, in the difficult 2011 vintage on Vancouver Island, the winemakers might have used such a miracle after an unusually cold and wet year. John Kelly, who owns Glenterra Vineyards at Cobble Hill, did not even harvest his grapes that year. “I could make wine with 15 Brix grapes but I won’t,” he says. Fortunately, he had a good stock of his 2009 wines (a superb island vintage) and some from 2010. In 2011, he turned to Okanagan sources for grapes. John was not among the 19 wineries at The Empress. However, I stopped in for a tasting on the way to Victoria and was amply rewarded with delicious wines. He has very good Pinot Blanc and Gewürztraminer from 2011, along with an acceptable 2011 Pinot Noir still in barrel. The vintages on offer from the WIVA wineries ranged from 2006 to 2012. A surprising number of wineries succeeded with 2011 fruit, as will become clear from the following notes. The 2012 vintage yielded riper grapes; the wines were easier to make and are probably more harmonious. I ran out of time before I could taste at all of the tables, but I made a point of visiting with new producers as well as with veterans, along with some fruit wineries, a meadery and a distiller. Here are my notes. Andy Johnston, the owner of this Cowichan Valley winery, calls it the island’s largest estate winery. He has 14 hectares (36 acres) of vines and last season, he produced 3,000 cases of wine. Averill Creek Foch Eh 2012 ($12). This is the winery’s answer to Beaujolais Nouveau, except the grapes are Maréchal Foch. As in Beaujolais, carbonic maceration of whole berries produced a playful and juicy red meant to be enjoyed chilled in summer and year-round in the hot tub. 88. Averill Creek Somenos Rosé 2011 ($17). Here is what some vintners did with Pinot Noir that was not optimally ripe. Andy fermented this rosé in barrel and left it on the lees for six months. The lees contribution balances the acidity nicely. The wine has strawberry aromas and flavours and a crisp, dry finish. 89. Averill Creek Pinot Grigio 2011 ($15.99). Fermented in tank, this wine is crisp and refreshing, with aromas of green apple and citrus. 89. Averill Creek Pinot Gris 2009 ($15.99). Pinot Gris signifies a style that should be quite different from Pinot Grigio. Andy achieved this by barrel-fermenting the wine and leaving it in oak for nine months. However, the oak flavours are nicely subdued, leaving the starring role to the flavours of grapefruit, peach and ripe apples. 90. Averill Creek Pinot Noir 2009 ($26). This wine shows classic aromas and flavours of cherry and strawberry and has an appealing texture. 89. Averill Creek Pinot Noir Reserve 2009 ($60). Andy Johnston’s ambition is to make Canada’s best Pinot Noir. In last year’s Canadian Wine Awards, this wine was among the top 25 Canadian Pinot Noirs. This is a remarkable wine, deep in colour, with dark fruit aromas and with flavours of black cherry and mocha chocolate. The texture is rich and silky at the same time. 91. Averill Creek Foch Cab 2010 ($18). This is a blend with about 60% Maréchal Foch, fleshed out with equal parts of Cabernet Libre and Cabernet Foch and a bit of Merlot. The two Cabernets are red hybrids developed by a Swiss plant breeder; they are being grown in a number of island vineyards. This medium-bodied wine is bright with red berry aromas and with flavours of cherry and cranberry. 88. This winery, located near Courtenay, was recently listed for sale at $3.1 million by the owners, Susan and Jeff Vandermolen, who only opened the winery in 2008. “We have one more adventure in our future,” explains Susan. She is not just referring to developing the winery. In 2002 the adventurous couple, who had previous careers in the oil industry, sailed a yacht across the Atlantic. Beaufort is an 84-acre property, including eight acres of vineyard and plenty of room for more vines. Because theirs was the first winery in the Comox Valley, the Vandermolens cautiously did not rush to plant much vineyard, first figuring out what works on the site. In the meantime, they have also have purchased Okanagan grapes and made wines both from these and from their own grapes that garnered many awards. Beaufort Beaudacious 2012 ($18). This is an aromatic, off-dry blend of Schönburger, Ortega and Pinot Gris, all of it grown on the island. It is juicy and delicious, with flavours of apple, peach and grapefruit. 89. Beaufort Qandisa 2012 ($19). During a previous adventure in Morocco, the Vandermolens had heard of a seductive goddess of lust called Qandisa. Somehow, that seems like an appropriate personality for a seductive dry white from the Siegerrebe grape. This wine is packed with aromas and flavours of spicy grapefruit. 90. Beaufort Blanc de Noir 2012 ($17.50). For this rosé, the island-grown Pinot Noir grapes were pressed just enough to allow for the capture of a delicate hue. The wine has aromas and flavours of strawberry and cherry. It is refreshingly delicious. 88. Beaufort Ça Beautage 2010 ($20). This is a blend of estate-grown Leon Millot, Maréchal Foch and Cabernet Foch. It is a firm red, with flavours of cherry, blackberry and chocolate. 88. Blue Grouse changed ownership last year when founder Hans Kiltz and his family sold the winery to Paul and Cristina Brunner. He is a retired mining engineer and businessman who had developed an interest in wine during an international career that included some wine-making countries. I posted a complete blog on site last August. The winery will complete the transition from Hans when it releases the new Blue Grouse wines this summer. Blue Grouse came to the Victoria tasting with library wines, as they should. Hans made excellent wines throughout his 20 harvests on this Cowichan Valley vineyard. Blue Grouse Ortega 2009 ($18). This is made in the classically crisp Hans Kiltz style with amazing youthful freshness. The aromas and flavours include citrus, green apple and herbs. 88. Blue Grouse Pinot Gris 2009 ($17.90). The price here reflects a discount from the usual retail price of $23; and it applies to releases from the 2010 and 2011 vintages as well, part of closing the door on one chapter before opening the next. It’s a bargain. This is a cerebral white, crisp with citrus and herbal aromas but with generous fruit on the palate. 89. Blue Grouse Vicesimus 2010 ($17.) People who know Latin tell me that “vicesimus” means “the 20th.” The wine was named in celebration of Han Kiltz’s 20th harvest. It is an aromatic blend of Bacchus, Müller-Thurgau, Siegerrebe and Ortega. It is a crisp and refreshing white with flavours of lime, green apples and herbs. 89. Blue Grouse Estate Pinot Noir 2007 ($19.90). Perhaps this wine has peaked and is starting to move on. It is a touch austere and earthy, with flavours of cherry and hints of chocolate. 87. 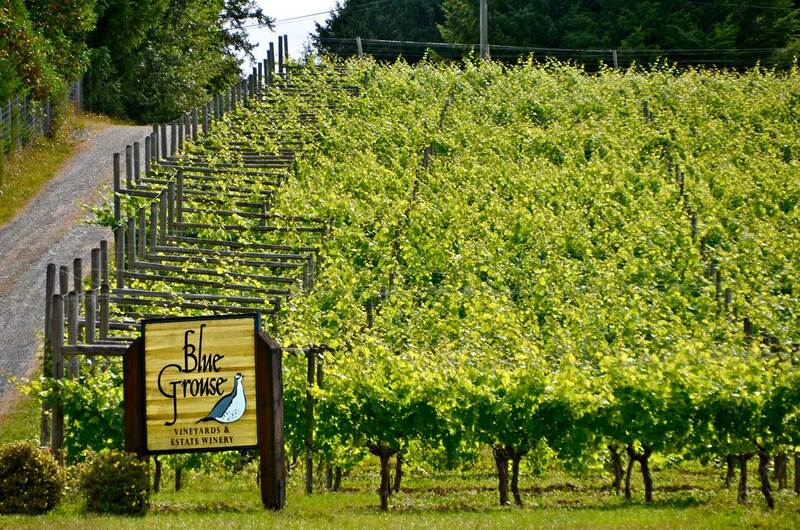 Blue Moon is a fruit winery that George Ehrler and Marla Limousin opened in 2009 on a beautiful organic farm near Courtenay. Considering that they both had long careers as consultants in the Canadian Arctic, they have turned out to be superb wine makers. They make fruit wines that, for the most part, are dry and easily paired with food. Blue Moon Sirius 2011 ($16.90). Made with nine varieties of apples, this crisp and refreshing wine has layers of flavour, giving it a good deal of complexity. 90. Blue Moon Moon Shine 2012 ($19.90). If I had tasted this blind, I would have sworn I was tasting a good Pinot Gris. It is nine varieties of apples and three varieties of pears, making a wine that finishes with a refreshing crispness. 90. Blue Moon Moon Beam 2012 ($19.90). This is a lovely pear wine, with cleanly focussed flavours and a dry finish. 89. Blue Moon Soleil 2012 ($16.90). Here is another nine-apple tour de force, perhaps less dry that Sirius, 89. Blue Moon Orion 2011 ($17.90). This is blackberry and blueberry with a touch of black currant that gives the wine a rustic austerity. Disclaimer: I am not a fan of black currant wine … but the winery has won a gold medal in competition with this, so what do I know? 87. Blue Moon Singularity 2011 ($17.90). Making good dry blackberry table wine often eludes amateurs. George, who can now be considered a pro, nails it, with authentic berry flavours but without the bitterness sometimes found in dry blackberry wine. 88. Blue Moon Lunacy 2011 ($21.90). An intense and concentrated blueberry and blackberry blend made by the solera method. There is residual sweetness on the finish. 88. Blue Moon Dark Side 2012 ($21.90 for 375 ml). This is a medium-bodied blackberry port, packed with fruit flavours and happily not overly sweet. 88. This winery opened in 2010 on a lavender farm near the Arbutus Ridge Golf Club in the Cowichan Valley. The owners of this bucolic property, which includes an excellent bed and breakfast, are Marsha and Dave Stanley and their friend, Alison Philp. The wines are both grape and fruit wines, typically with a lavender grace note. The lavender was perhaps too strong in some of the debut vintages but the owners have tamed those flavours by using carefully modulated dashes of lavender syrup rather that lavender tea. Damali Arba 2011 ($21). There is no lavender in this crisp and delicately fruity Pinot Grigio but the owners are so dedicated to the concept that they named the wine for a variety of white lavender. 88. Damali Rhubé Lavande 2012 ($22). This is a blend of 80% rhubarb, 20% Pinot Gris, with just a touch of lavender. It is crisp and tangy with flavours, of course, of rhubarb. The winery recommends it for spicy foods, such as Thai curries, and I would second that idea. Damali Muré Lavande 2012 ($22). This is a medium-bodied dry blackberry table wine. The dash of lavender complements the berry flavours. 88. Damali Mystique 2012 ($22). Named for another lavender variety, this is a blend of fruit and grape wines; the backbone is the Castel grape grown on the property. It has appealing flavours of cherry and raspberry and the finish is dry. 88. This Saanich winery opened in 2010 on a lovely country property with views of Mount Baker from the wine shop. While the winery buys grapes from the Okanagan and the Similkameen, it has its own vines as well – Pinot Gris, Pinot Noir and Grüner Veltliner. The winery had its debut Grüner Veltliner at the afternoon trade tasting but not in the evening, which is when I visited the table. And I missed a few of the other estate-grown wines, distracted by answering wine questions posed by a pretty fellow attendee. de Vine Gamay Rosé 2011 ($18). Made from Similkameen grapes, this is a light-bodied summer sipper with aromas and flavours of raspberry and cranberry. 87.
de Vine Viognier Roussanne Marsanne 2011 ($20). Here is a crisp white from Okanagan fruit that over-delivers, with flavours of apple, pineapple and apricot and with a spine of minerals that add to its laser-like focus. 90.
de Vine Syrah 2011 ($20). Made with Black Sage Bench fruit, this has the variety’s classic earthy and plum/prune flavours with a touch of pepper on the finish. 88. This Saanich winery released its first table wines in 2010 but was licensed in 2006 so that it could produce wine jelly from its grapes and wine. It is part of Sylvie Rochette’s Epicure Selections food products business. One presumes it began releasing wines when it had far more wine that it needed for wine jelly. The winery’s tasting room is open afternoons from Thursday through Sunday. Domaine Rochette King Lear Blanc de Noir Rosé 2011 ($18). Crisp, light and pleasant as a summer season wine, this has notes of raspberry. 87. Domaine Rochette Taming of the Shrew 2011 ($20). This is a blend of the two most promising of the Blattner (or Swiss) white hybrids now growing on Vancouver Island – Epicure and Petite Milo. The wine is crisp and refreshing, with notes of citrus and green apple. 89. Domaine Rochette Othello 2011 ($17). This bright, juicy red, tasting of strawberry and cherry, is a blend of Pinot Noir and Foch. 88. Domaine Rochette A Midsummer Night 2009 ($21). This is a Pinot Noir, still firm in texture, with flavours of cherry and cranberry. 88. This is Vancouver’s pioneer producer of European-style apple cider. However, the current excitement is all about the distilled products that co-owner Rick Pipes makes with a handsome still that was built in Germany. He has been at it for five or six years, all the while lobbying the province (along with the other craft distillers) to give them a mark-up policy that makes craft distilling economically viable. Last month, that change came through, allowing distillers to keep the margins from direct sales. He is getting ready to release inventory on which he would have lost money before when the Liquor Distribution Branch grabbed a huge mark-up. Merridale Cowichan Cider Brandy. Rick will be releasing this excellent Calvados-style brandy in late spring. He could not afford to release it before because of the punitive mark-up on distilled spirits sold through the Liquor Distribution Branch. As a result, Rick is releasing a six-year-old brandy with appealing notes of apple and caramel. The price will be around $35 for 350 ml. 90. Pat George and Lamont Brooks opened this Saanich boutique last June. The attention to detail in the grape growing and winemaking will remind many of nearby Starling Lane Winery. Regrettably, the Starling Lane partners are closing the winery at the end of the season; but some of their vineyards will be selling grapes to Symphony. It is a happy transition. Symphony Pinot Gris 2012 ($17.90). This is an appealing and refreshing white with aromas of lime and grapefruit that carry through to the palate, along with notes of green apples. The finish is persistent. 91. Symphony Gewürztraminer 2012 ($18.90). This is a charmer. The spicy aroma notes are delicate, with peach and pink grapefruit on the palate. There is a long, tangy finish. 90. Symphony Pinot Noir Rosé 2011 ($17.90). This wine displays a lovely rose petal hue, with aromas and flavours of strawberries. It has a dry finish but with just a trace of residual sugar to give it a juicy texture. 90. Symphony Millot 2012 ($20.90). Made from the Leon Millot grape, this wine, which was aged in American oak, has a generous texture with a delicious core of plum and cherry flavours. 89. 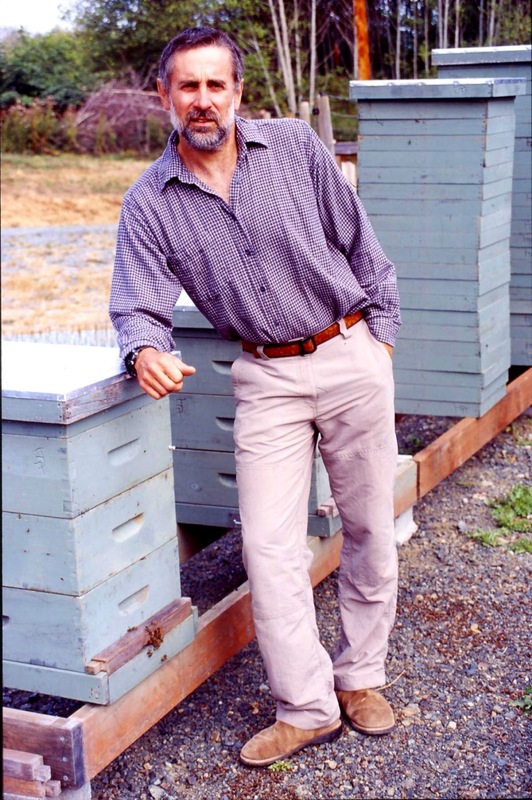 Based in Sooke, this was British Columbia’s pioneer producer of honey wines. It opened in 2003. The wines are made by master beekeeper Robert Liptrot. He has not only developed his own recipes; he also uses some venerable family recipes. The tasting room also sells other honey products. Tugwell Creek Wassail Blush 2011 ($26.95). This is also made with honey and berries but was aged eight months in French oak and has just over 14% alcohol. It is balanced toward dry but with a lingering sweetness on the finish. 89. This Cobble Hill winery was opened in 2011 by Tim and Colleen Turyk. Both have had successful careers in the fishing business and are now exchanging one lifestyle for another. Unsworth Allegro 2011 ($19.90). This tasty white is a blend of Pinot Gris, Petite Milo and Pinot Noir. It offers appealing flavours of grapefruit and apples, with a crisp finish. 89. Unsworth Pinot Gris 2011 ($19.90). By aging this three months on the lees, the winemaking team here have softened the acidity of the vintage and given this wine nice texture. It tastes of pears, apples and grapefruit. 90. Unsworth Rosé 2011 ($17.90). Made with Pinot Noir, this is again a light summer wine, tasting of raspberry and strawberry. 88. Marilyn Schulze and Giordano Venturi opened this Cobble Hill winery in 1993, six years after establishing one of earliest Cowichan Valley vineyards. The couple, now joined in the venture by her daughter, Michelle, are incredible detail-oriented in the vineyard and in the winery. Many of the wines have Italian names, a reflection of Giordano’s heritage. Venturi-Schulze Brut Naturel 2009 ($32). This is made with Auxerrois, Kerner and other non-traditional grapes for sparkling wine. But the wine still shares with Champagne a toasty aroma, fruit and a creamy texture on the mid-palate, lively fine bubbles and a crisp finish. 90. Venturi-Schulze Millefiori 2011 ($23). This is a blend of Siegerrebe and Ortega; it was fermented slowly and very cool for preserve the floral and spicy aromas. There are tastes of lime and apple on the palate. The bright acidity of the vintage gives this wine an angular edge … but it would be a great oyster wine. 88. Venturi-Schulze Sassi 2009 ($26). This is a dry barrel-fermented Ortega/Pinot Gris blend that, according to the winery, thinks it is a Scotch. I didn’t see that but it certainly has its own personality, with a rich texture gained from aging on the lees until it was bottled. 87. Venturi-Schulze Schönburger 2008 ($18.60). Hardly anyone ages Schönburger; maybe they should. This wine has become rich and complex, with hints of honey, tangerine and hazelnuts. The finish is dry and lingering. 91. Venturi-Schulze Primavera 2011 ($20). This is an off-dry (but nicely balanced) Schönburger/Ortega blend, light-bodied and fruity, with flavours suggesting peach and grapefruit. 88. Venturi-Schulze Maranell0 2011 ($26). This racy Pinot Noir rosé is named, quite suitably, after the Italian home of Ferrari. The wine has a lovely dark hue and good weight on the palate. It has spicy and herbal cherry flavours and a pleasantly dry finish. 89. Venturi-Schulze Pinot Noir 2008 ($45). In contrast to the brooding personality of the 2006 Reserve, this wine, from a cooler vintage, is bright and lively, with notes of strawberry and cherry. The silky texture lends a fullness on the palate. 90. Venturi-Schulze Pinot Noir 2009 ($45). Here is another Pinot Noir from a warmer vintage. The fruit flavours are more concentrated (black cherry, chocolate). The texture is still firm but with a polished elegance. The wine has good length and good aging potential. 90. In 1992, Zanatta was the first winery to open on Vancouver Island in the modern era. Fruit wineries that opened in Victoria in the 1920s and the last survivor of that group, Jordan & Ste. Michelle, moved to the lower mainland in 1978 and closed a few years later. Zanatta today has a 30-acre vineyard, one of the largest on the island, which began as a one-acre test block in 1981. Growing trials there helped guide subsequent planting decisions elsewhere on the island. The specialty here is sparkling wine but co-owner Jim Moody also had a surprise under the table. Zanatta Damasco NV ($N/A). This is a fruity blend of four white varieties, with Bacchus jumping out in the spicy aroma and the flavours of lime and green apple. 88. Zanatta Glenora Fantasia NV ($N/A). This is the winery’s flagship sparkling wine, made from the only block of Cayuga grapes in British Columbia. This wine led to Zanatta taking itself out of the VQA program in the early 1990s. Cayuga, a New York hybrid, was not on the list of approved grapes for VQA wines. I believe it eventually was accepted but by that time, the winery discovered it could make a living without VQA. 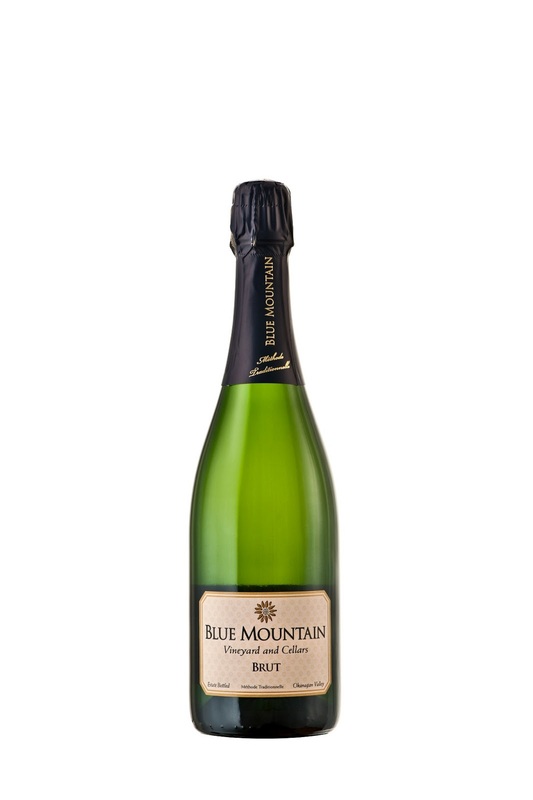 The varietal has fairly bold grapey flavours which make their way into this crisp, leesy bubbly. 88. Zanatta Brut Traditional NV ($N/A). This is made entirely with Pinot Noir. It is crisp, with fine bubbles, flavours of apples and bready lees. 89. Zanatta Pinot Nero 2009 ($N/A). This medium-bodied Pinot Noir is still firm but evolving toward the classic texture of the varietal. The wine has flavours of raspberry and black pepper. 88. Zanatta Merlot 2009 ($22.95). Vancouver Island Merlots are few and far between because the variety needs more heat units that the island gets in most years; 2009 was an exception. “We’ve been growing it for 15 years,” Jim Moody says. It was ripe enough in 2009 that he made 150 cases to release as a named varietal. It is a bit leaner than most Okanagan Merlots but still has appealing flavours of black currant and blackberry. 89.